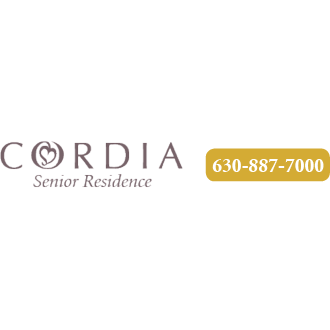 Cordia Senior Residence is an independent and assisted living facility in Westmont, IL. At Cordia, our mission is to create opportunities for seniors to continue to lead a meaningful life! The staff, caretakers, and nurses all care deeply about every resident. We offer a variety of amenities and apartment options to ensure that you enjoy your golden years to their fullest. From an executive chef to housekeeping, all the worries of life are removed so you can focus on enjoying life. We offer A warm and friendly environment with all the comforts of home. A rich program and social calendar, Scheduled transportation to local shopping, programs, and doctor appointments, Three delicious meals daily Weekly housekeeping and linen service. An integrated, comprehensive wellness program, A variety of apartment sizes and styles from which to choose. Many apartments with full kitchens for those times a private meal is desired. We feature the safety of an emergency response system in each apartment, and life safety systems are located throughout the building. All residents receive custom-tailored personal care plans to suit their needs. We're staffed 24-hours a day by certified nursing aides who are supervised by our RN. Take full advantage of Cordia, and enjoy our physical therapy, audiology, podiatry, dentistry, ophthalmology, fall prevention programs and fitness and yoga class options. Call Cordia Senior Residence today to learn more.